It's the descendants of Harry Potter's first day of their term at Hogwarts School of Witchcraft and Wizardry. Today in Harry Potter fan history marks the time in the final novel of the Harry Potter series where Harry Potter and Ginny Weasley return to Platform 9 3/4 to send their own children off to school. 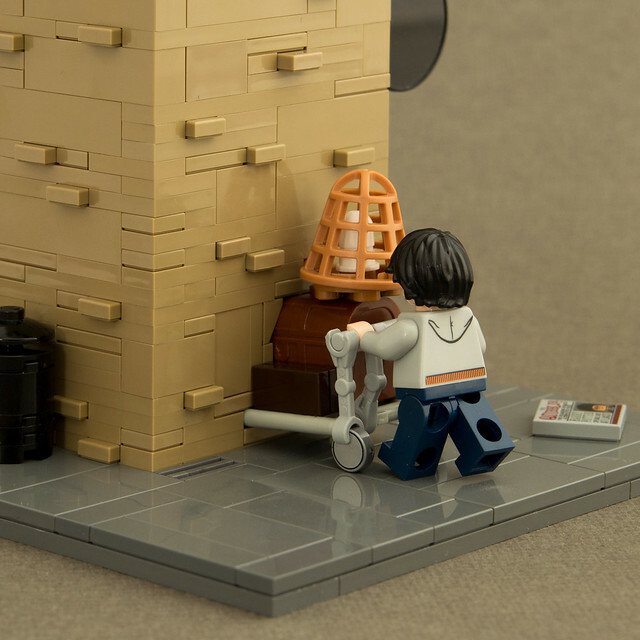 This scene, composed by Jonas Kramm, is the perfect build to feature today here on BrickNerd. It's quite creative and magically executed, with James Sirius Potter disappearing into the hidden column gateway. With Voldemort defeated, all witches and wizards can breathe a bit more easily. . .that is, until the next instalment of the series.